We’ve just returned from a short trip to Virginia’s Shenandoah Valley/Skyline Drive area. 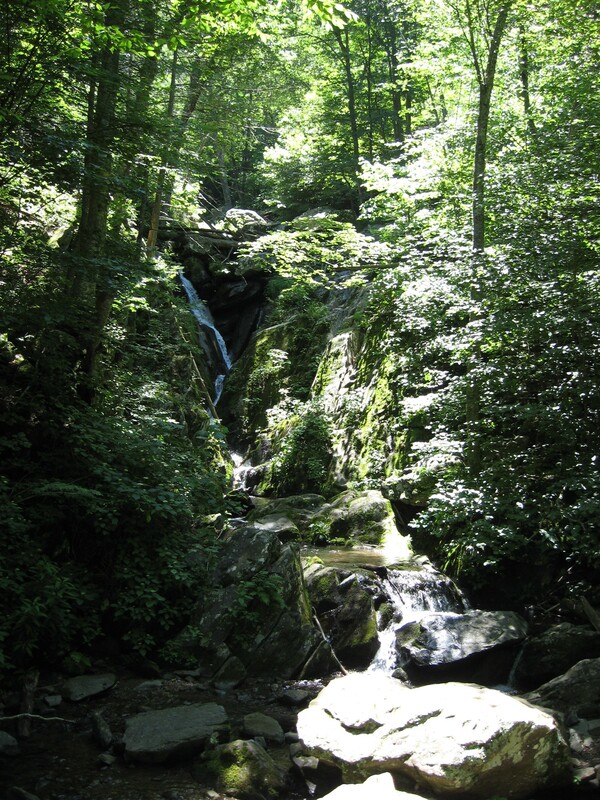 One of the popular hikes is Dark Hollow Falls at mile 50.7 — popular because it’s near a big campground, and it has the shortest walk of all the falls on Skyline Drive, though the trail is a little steep. Since we were there on a Monday, the crowds weren’t too bad. The upper falls were impressive, and we thought the lower stretch (shown here) reminded us of the paintings of the 19th-century Hudson River School artists.